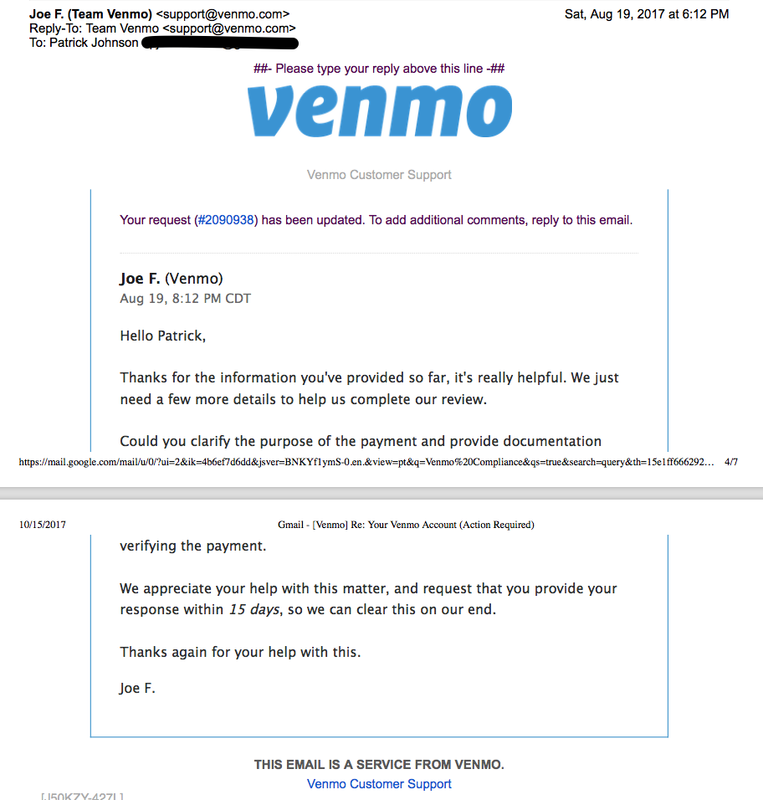 Over the past three years, Venmo and I had a series of heated exchanges regarding my Cuban-related payment comments that actually had nothing to do with Cuba the country, but Cuba the word. 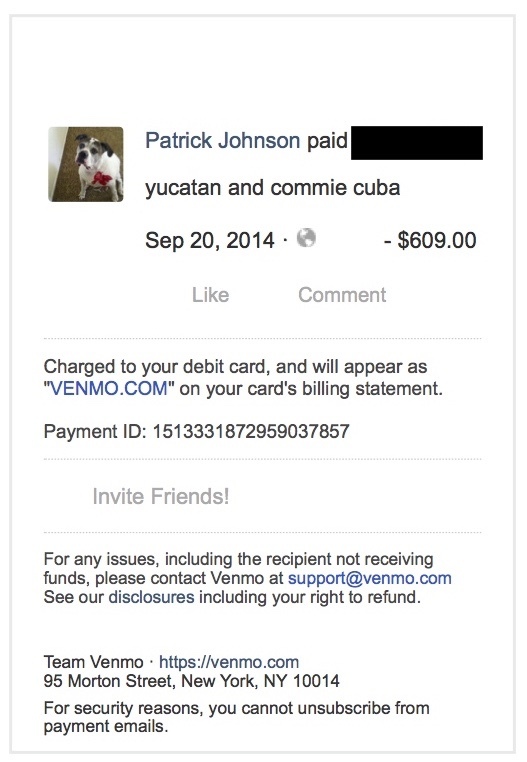 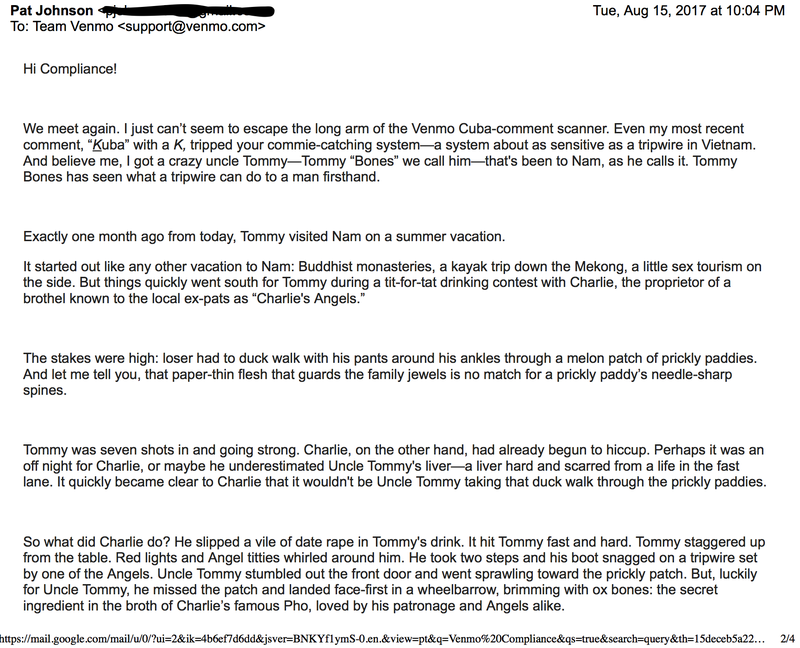 Some may say I trolled Venmo’s Cuban-sniffing commie-catching system, but as you will see by my explanations, it was all one big misunderstanding that, unfortunately, lead to Venmo transferring my transaction to the U.S. Treasury’s Office of Foreign Assets Control (OFAC) for review, which, at the time of this post, has yet to release my funds. 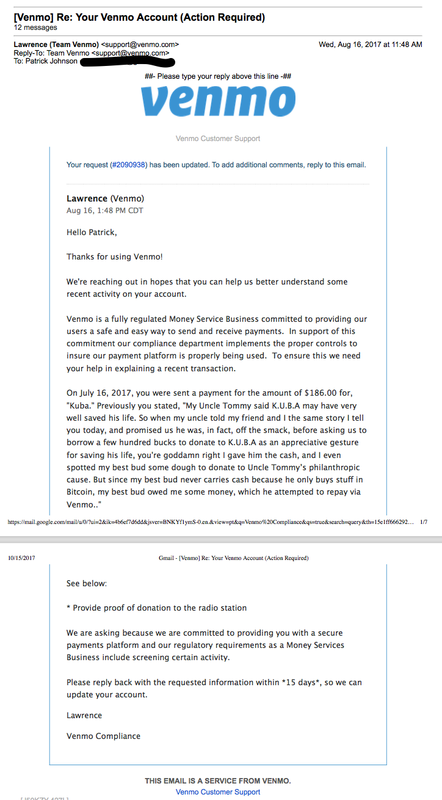 To enlarge the text of the responses below, click on the image (I know the text is small). 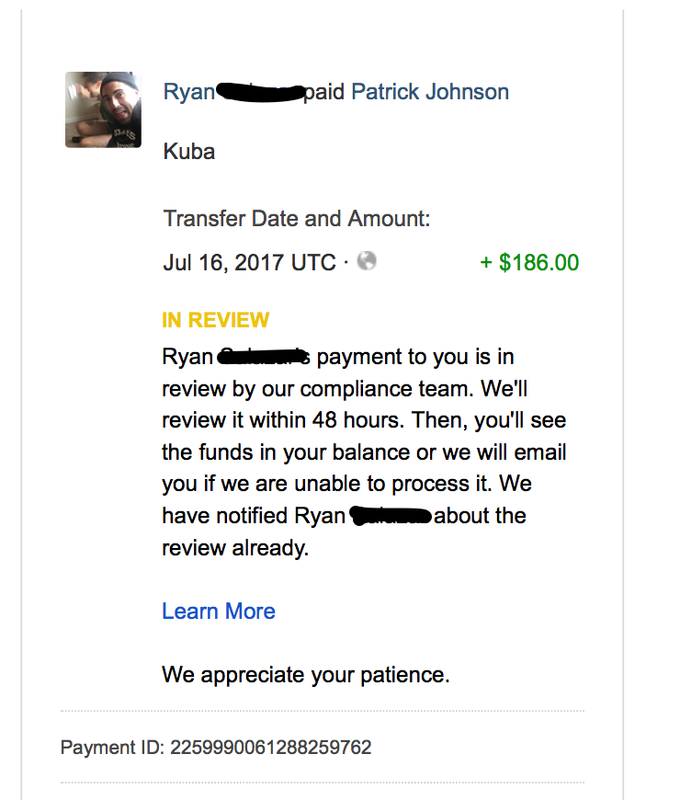 My account remained frozen and the transaction on hold for about six months, until they released my funds without any notice. 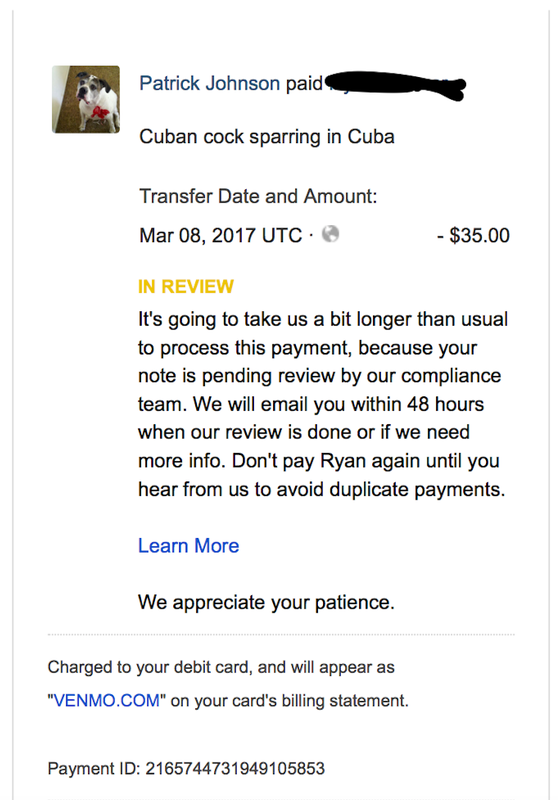 But three years later Venmo Compliance and I would meet again over another cup of Cuba served cold. 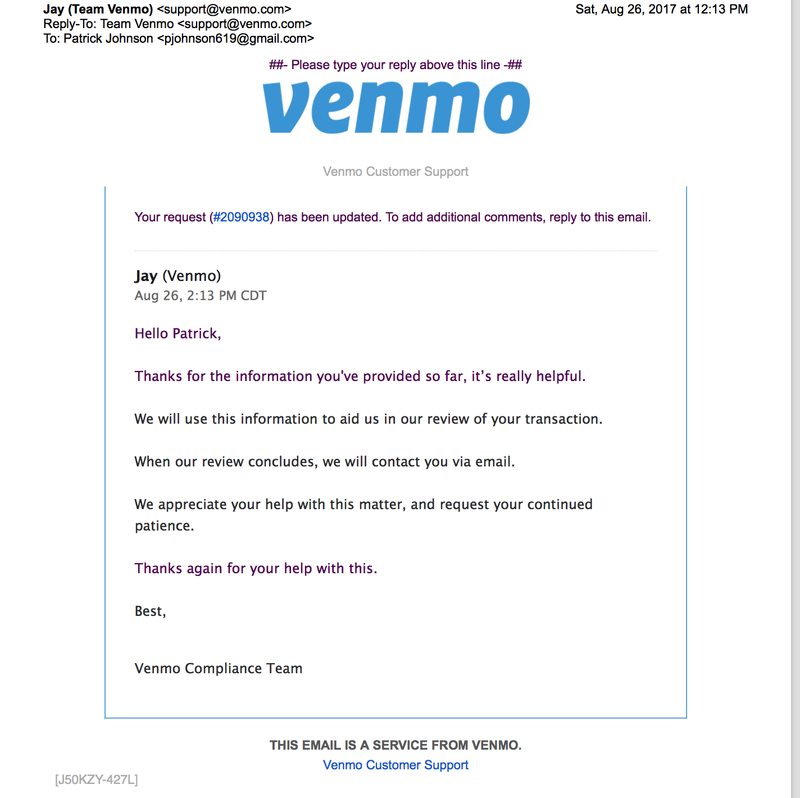 Apparently my explanation sufficed as Compliance had no further questions…. 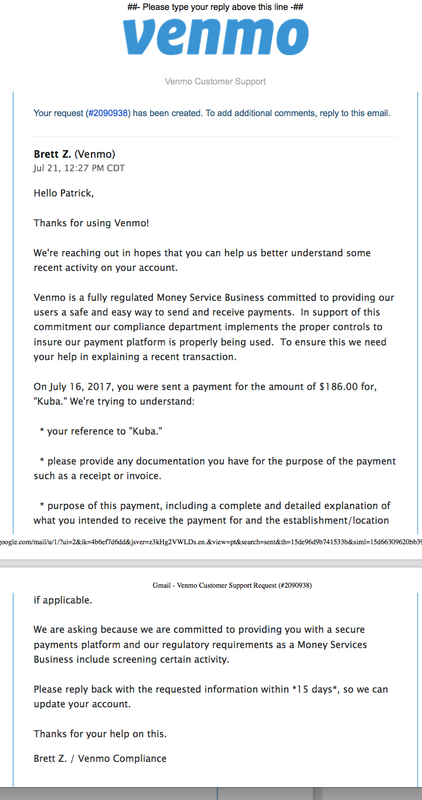 However, it wasn’t long before Cold War tensions between Compliance and I escalated into another game of tug of war with poor “Kuba” caught in the middle. 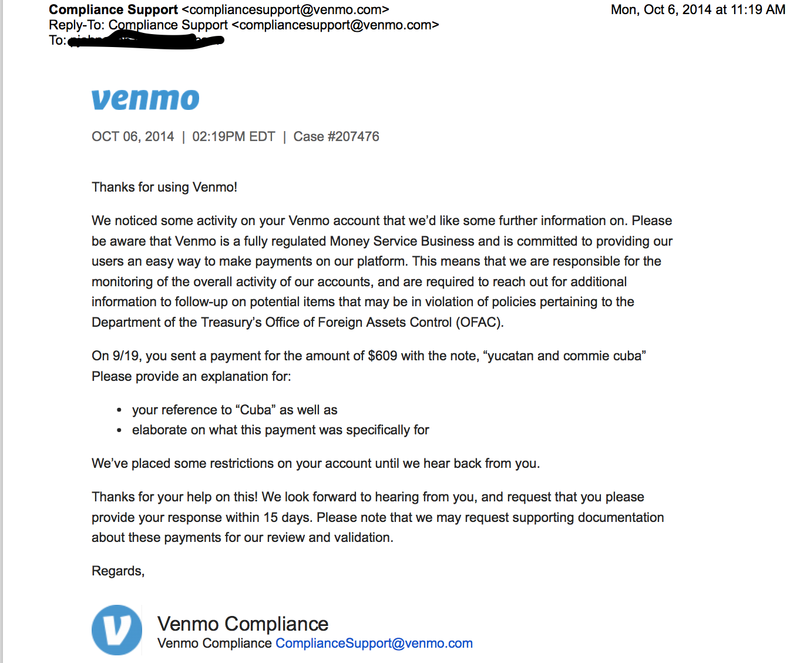 And this concludes my three year war with the Venmo Gestapo. 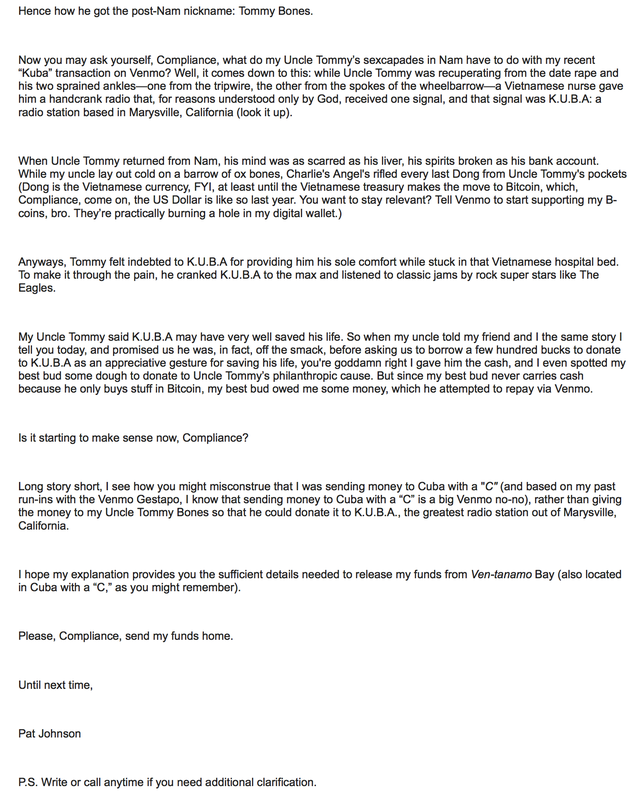 They may have won the battle, but just wait until my Uncle Tommy Bones is president. 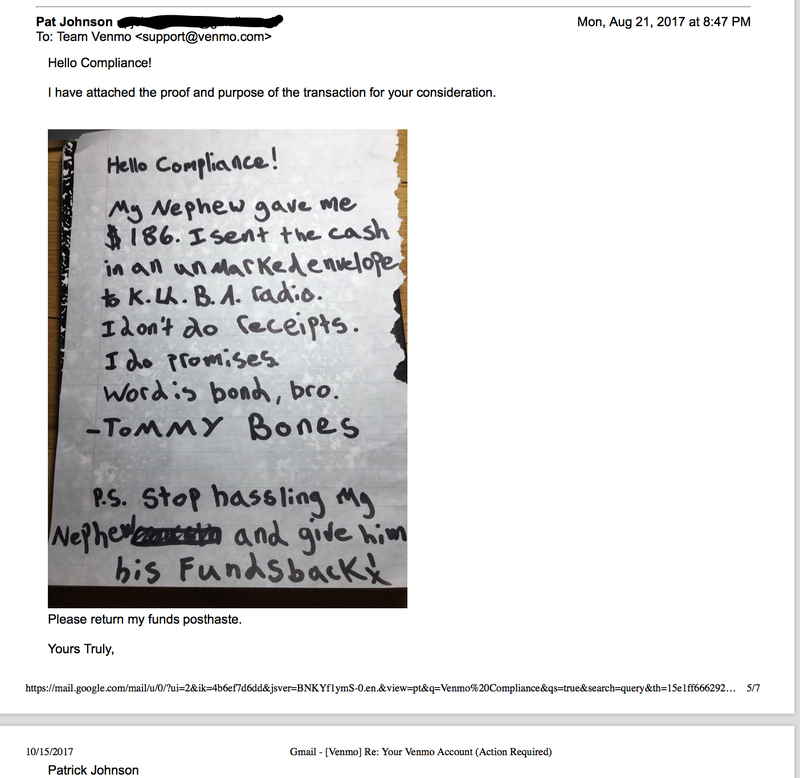 We’ll see who complies with who when President Bones rules the world. 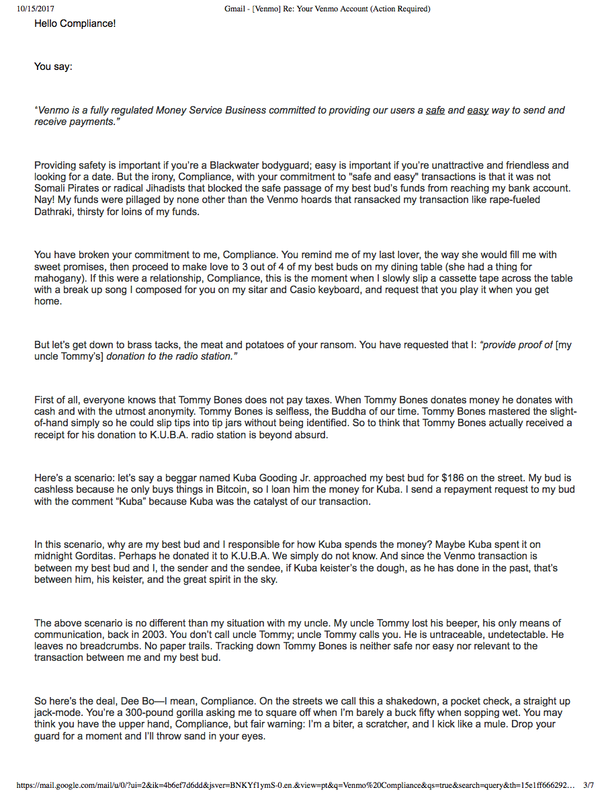 Tommy Bones always repays his debts.